The president of the Middleton-Cross Plains Area School Board contacted the Government Accountability Board last week to self-report what appears to be a violation of a state law that prohibits using government resources for political purposes. “This is a terrific opportunity to get to know a candidate for governor, and I hope you will come,” Lindgren wrote at the top of the email, which went to various individual, including some public employees and elected officials. The filing deadline for the spring election came and went Tuesday, and there will a few contested local races on the April 1 ballot. State offices to be elected include Court of Appeals Districts 1, 2 and 4 and Circuit Court. Various local government seats are up for re-election, including those on city, town, village and school boards. Incumbent Second District alderman Gurdip Brar will face challenger Robert Conhaim in the only contested Middleton Common Council race. Conhaim and Brar are no strangers, as the former was ousted from the seat in 2008 by the latter. 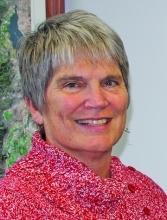 Incumbents Susan West (Dist. 6) and Mark Sullivan (Dist. 8) both filed to run for re-election and will not face any challengers on the ballot. District 4 alderman Jim Wexler will not seek another term, so newcomer Chad Gehin will be the only name on the ballot there. Chad N. Gehin has announced his candidacy for the City of Middleton’s District 4 aldermanic seat. The incumbent, longtime councilman Jim Wexler, announced last week that he will not seek another term in the spring election. Gehin, the property manager at Springtree Apartments, is a Marine Corps veteran and has served overseas. He attended high school in Middleton. Town of Middleton residents last week unanimously approved a 2014 property tax levy that is slightly larger than this year’s and a road budget that is a little less than the current year’s. Approximately 15 residents attended the budget hearing and approved a $2.834 million property tax levy, up from the $2.775 million levy they approved in November 2012. They also approved a $1.071 million road budget, which is down from the $1.084 million approved a year ago. The property tax levy is imposed this year and due by Jan. 31. Many property owners pay by the end of the current year to obtain a deduction on their itemized income tax returns. Unlike residents of a city or village, town residents, and not their board of supervisors, are empowered to set the total amount the town can tax property and spend on road maintenance and improvements. A longtime firefighter accused Middleton Fire Chief Aaron Harris of assault last year after an altercation at the site of a housefire in the Town of Springfield. The chief and the Middleton Fire Commission, which oversee a district encompassing 54 square miles and approximately 30,000 people, deny there was any wrongdoing. Middleton resident Tom Engelbrecht, a firefighter for most of the past decade, was given notification of his inactive status by the department on May 3, 2012, after reporting the alleged assault to the Dane County Sheriff’s Office. Engelbrecht was listed as a volunteer firefighter who was paid per-call by the department. Engelbrecht told deputies on April 29 that Harris had verbally and physically assaulted him one day earlier, grabbing his arm hard enough to leave visible bruises through his three-layer turnout gear. With the Middleton City Council preparing to vote on the 2014 budget in the coming weeks, a recently proposed scenario for balancing the budget is front and center. In recent finance committee meetings, city staff offered a tentative course of action which included reducing the general contingency account, eliminating the 2014 HRA contribution, freezing an anticipated vacancy in the Public Works Department, eliminating Saturday bus service and funding the confluence pond dredging project from Tax Increment District (TID) 3 rather than the General Capital Budget. This proposed 2014 budget as it stands right now is based on a line-item analysis approach developed by Finance Committee Chairman and District 8 alderman Mark Sullivan. The method centers on selecting department line items that are the lower than the 2012 actual expenditures or the 2013 budgets. Will New Public Works Building Feature Recycling Center? The Middleton Common Council two weeks ago discussed the impending move of the Municipal Operations Center. As Meriter Health Services is now prepared to move forward with constructing a sprawling new medical campus east of the Beltline at Century Avenue and Laura Lane, the city’s Public Works Department activities at their current garage must end in March of 2015. Meriter’s development necessitates that Public Works moves into a new Municipal Operations Center on land currently owned by the State Department of Transportation (DOT) at the north end of Parmenter Street. At last week’s meeting, city administrator Mike Davis urged the common council to reach a consensus regarding the cost of the proposed Municipal Operations Center (MOC) and related key issues. 1. What is a Health Insurance Marketplace or Exchange? A Health Insurance Marketplace or Exchange is a new way that Americans can compare and shop for health insurance. U.S. citizens and others who are legally in the U.S. can sign up for health insurance through the Marketplace. You cannot be turned down. You may even be able to get help paying for your new insurance. From now until March 31, 2014, you can sign up for health insurance. To have coverage on January 1, 2014, you will need to sign up and pay your first monthly premium by December 15, 2013. 2. Do I have to sign up for health insurance? The Middleton Plan Commission views demolition as the most reasonable course of action for the former Middleton Outreach Ministry (MOM) headquarters due to its deteriorating condition. Despite a request for proposals from developers made by the city earlier this year, there has been no interest in renovating the aging building, commissioners learned last week. MOM left the building late last year in an effort to consolidate services and forego the costly maintenance needed to remain operational. The site was acquired by the city earlier using tax increment financing (TIF). The purchase was for the purpose of future parking needs and potential redevelopment downtown. The request for proposals involved a long-term lease keeping the property in the city’s possession with no option to buy outright. The Middleton Common Council last week unanimously approved the use of up to $400,000 in Tax Increment Financing (TIF) to help fund the expansion of Natus Neurology. Natus Neurology maintains its North American corporate headquarters in the Good Neighbor City. The company provides healthcare products used for the screening, detection, treatment, monitoring and tracking of common medical ailments in newborn care. Products are sold worldwide with distributers in more than 100 countries. The company recently decided to expand its headquarters and wants to maintain its Middleton location. The expansion will ramp up its customer training, supplier/contractor and corporate business meetings. This is expected to have a substantial positive impact on the local economy, increasing commerce at hotels, restaurants, and in entertainment and shopping. Natus also pledges to the city it will maintain 174 full time positions after the project is complete.